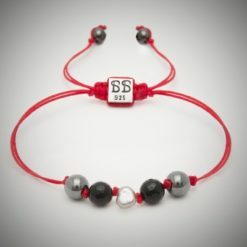 Attracts good luck, enhances self-confidence, and aids in the ability to promote succinct thought process! Wear it on your left wrist to welcome its energy. Powerful amulet to attract good luck, prevent accidents, enhance self-confidence, and aid in the ability to promote succinct thought process. 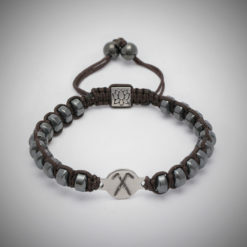 Hematite has been known since ancient time to improve the activation of oxygen absorption in the blood and has been beneficial in preventing bruising. Improve overall health and physical well being while enhancing cognitive ability! The cleansing process enhances the natural super power of the stones and helps each piece of jewelry communicate better with its future owner. To keep in harmony with nature, your Basha jewelry needs to be energized before initial wearing and cleansed periodically. 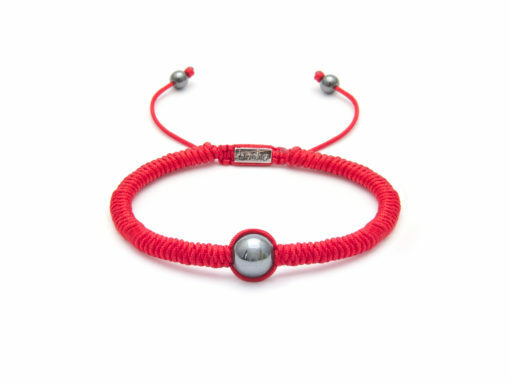 Cleanse your bracelet in one of the following ways to keep the positive energy flowing: 1)Place your bracelet in a crystal clear glass of cool water and a pinch of sea salt for one minute. 2)Place your piece in the sunshine or full moonlight for one hour. 3)Rinse the stones in moving water for a few minutes. 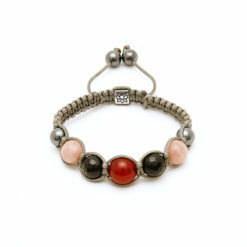 Whatever method you choose, remember that the intention is to personally energize and cleanse your bracelet. 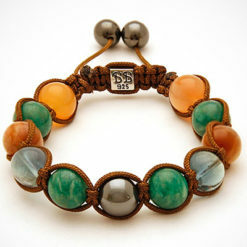 “I now humbly request, that these gemstones be inundated by the divine spiritual energy of the healer. May their healing energy properties be restored and activated with my intention. -SAY YOUR UNIQUE INTENTION HERE.